Edventure specialises in the design, manufacture and supply of games and activities to schools throughout the UK believing that it is vital to encourage children to be active and engaged in co-operative games at playtimes to improve social skills, self-esteem, communication and behaviour. Our comprehensive range includes many traditional outdoor activities which are safe to use in a busy playground and a wide variety of indoor games for wet playtimes. 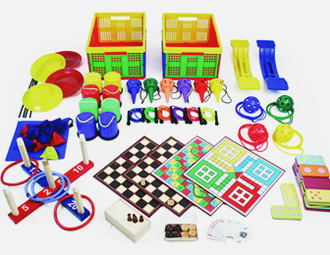 We are delighted to be partnering with the Out Of School Alliance and to show our appreciation we are offering a chance to win one of our new and exciting Breakfast Club Activity Kits, developed to enable a wide range of varied activities to be available to satisfy the requirements of all abilities. To be in with a chance of winning one of the Breakfast Club Activity Kits from Edventure, just enter your details below. The competition closes at midnight on 12 April 2019. The winner will be chosen at random and notified via email on 13 April 2019. The competition is only open to UK residents.